Because the process of fiscal compromise acts itself out on the political stage – all big personalities and high drama – the media loves to report it. Loves to imply that vast questions are at stake, that political careers will stand or fall by the outcome. The political ructions of the next few weeks will simply constitute the first scenes in a drama that will run for the next ten or fifteen years. And what’s more, this is a play where we already know the ending. Taxes will have to go up. Spending will have to come down. No other outcome is available: just ask the Greeks. And meantime, there is a monetary time-bomb charged and ticking. A bomb which is being constantly primed with further explosive, further destructive force. Remember that the economic catastrophe of 2008 was created by loose monetary policy, the indisciplined expansion of credit and a market where increasingly shoddy securities were sold as investment grade assets. You might think that a logical reaction would be the steady tightening of policy and encouraging a climate of credit discipline. Alas, however, such logic has no place at the Fed. Interest rates are on the floor, and have been for four years now. Because four years of loose money isn’t enough for the ivory-tower academics in charge of monetary policy, the Fed has explicitly committed to keep rates low indefinitely. Loose money in the past, loose money guaranteed into the future … but that’s still not enough. 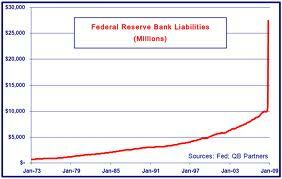 The Fed has enlarged its balance sheet by $2 trillion since the crisis began to unfold. But that doesn’t even say it. The unelected officials at the Fed handed out an extraordinary $16 trillion in secret loans to bail out banks and businesses in the 2008-10 period. Those loans were not known to, or authorized by, Congress and many of the recipients were firms owned and headquarter abroad. Sen. Bernie Sanders, who has much to call attention to these issues, comments, ‘No agency of the United States government should be allowed to bailout a foreign bank or corporation without the direct approval of Congress and the president.’ Well, duh! It’s frankly extraordinary that there should be any question about this. As Sanders also points out, the actual operation of the bailouts was largely outsourced in large part to investment banking firms on Wall Street who benefitted directly from the bailout. According to the Government Accountability Office, some two-thirds of such outsourcing contracts were awarded on a no-bid basis, an extraordinary failure. And meantime in a ‘money-laundering‘ style operation, the Fed is acquiring $40 billion of low-quality mortgage backed securities – in many cases from the firms that created and missold them – thereby cleaning corrupt balance sheets at the risk of the US taxpayer. The problems created by this unconstitutional misconduct go far beyond the mere trillions of dollars involved. The US Treasury market is being currently manipulated on a heroic scale. At times we’ve seen the Fed buying as much as 70% of US government bond issuance. Worse still, it’s effectively told the market that it intends to continue supporting the market as much as necessary for as long as necessary. In effect, we have a tiny group of unelected officials pursuing a set of radical and experimental policies – QE infinity, money-printing, unlimited bond buying, call it what you will. And the theory behind this activity is simply crazy. When have price controls and state intervention ever worked? 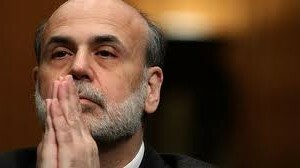 I don’t just mean for the US Treasuries market, but for any major market at any time? State intervention always fails. 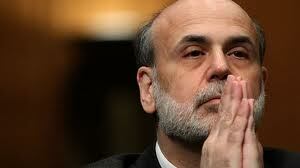 The Fed is simply setting up what looks set to be the largest Ponzi Scheme in history. What’s more, because financial markets are interlinked, indiscipline in one market soon ripples through the system and unintended consequences impact many other markets. Wall Street traders, both currently and historically, price junk bonds off the US ten year treasury, which currently trades at an implausible 1.61%. But since the US Treasury market is flawed, every related market is too. As the Economist notes, a bubble is being inflated in government bonds, quality corporate bonds, junk bonds, and (I would add) global equities. As that newspaper comments, ‘When the market does turn everyone will want to head for the exit at once, as was the case with mortgage-related bonds in 2007. That might turn a retreat into a rout.’ I’d agree, except that the word might ought to be will. And all this wouldn’t be so bad, except for one thing. What’s the exit strategy? Could it be hope-based by any chance? How do you climb down from these heights? Who will buy these bonds when the Fed stops? Who absorbs the losses? What exactly happens to the economy when interest rates normalize and bond prices collapse back to normal levels? Indeed, what happens to the banks when they can no longer sell their lousy assets to the Fed, can’t bump up their profits by selling no-bid services to the dumbest buyer in town? Too big to fail is still getting bigger. The fiscal cliff is scary, because an abrupt one-off change in fiscal posture is a dumb way to do something that needs doing. But still, it needs doing. If a temporary economic slowdown is the price we pay for that, too bad. We’ll still be in better shape for taking the hit. The monetary neutron bomb is worse. We’re still building it. No one’s talking about it. And the amounts are colossal. Unfortunately, this speaks poorly of liberty and democracy in the USA – I go into much greater detail in my book Planet Ponzi – I hope you have an opportunity to read it. Thanks for your feedback Tom! Ive just been investigating the pros and cons of climate change – and been surprised (appalled) that science can be viewed and presented in such biased ways on both sides. Mitch – your ideas and the presentation of them are so simple and clear, and I for one are convinced, but how is it possible for the vast bulk of politicians and economists to ignore this? How can they engage in such a collective burying of heads in the sand. Have they produced any critism or rebuttal of your ideas? Where is the open debate? – or are you the boy pointing out that the emperor has no clothes on as in the Hans Cristian Andersen fairytale? I am currently reading your excellent book. However, one thing I would like to see more of are estimates of dates when the unraveling of the US stock market will start to happen, and the result on the dollar. 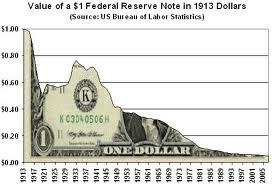 As the dollar is a traditional safe-haven currency, will it shoot up or down!